At thirty-nine, Deola Bello, a Nigerian expatriate in London, is dissatisfied with being single and working overseas. Deola works as a financial reviewer for an international charity, and when her job takes her back to Nigeria in time for her father's five-year memorial service, she finds herself turning her scrutiny inward. In Nigeria, Deola encounters changes in her family and in the urban landscape of her home, and new acquaintances who offer unexpected possibilities. Deola's journey is as much about evading others' expectations to get to the heart of her frustration as it is about exposing the differences between foreign images of Africa and the realities of contemporary Nigerian life. Deola's urgent, incisive voice captivates and guides us through the intricate layers and vivid scenes of a life lived across continents. 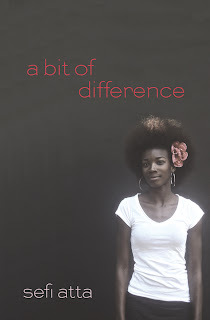 With Sefi Atta's characteristic boldness and vision, A Bit of Difference limns the complexities of contemporary world. This is a novel not to be missed.